Joe Crow Ryan in his spot on the platform at the Metropolitan G.
If you’ve ever waited for the G train at the Metropolitan stop late at night, you’ve probably heard a song (or 4 songs if it’s a really late night) by subway platform performer Joe Crow Ryan. I’ve never stopped to talk to Joe, but have listened to a few of his songs as I pass by…and laughed at some of the wisdom he shares. I can’t say that I’ve ever thought too much about the little I heard from Joe, but I was stunned earlier this week when a friend sent me a well-produced documentary (put together by Vice) that tells Joe’s story of a drinking problem that left him homeless and a guy that gave him a chance. It’s is a pretty amazing tale. 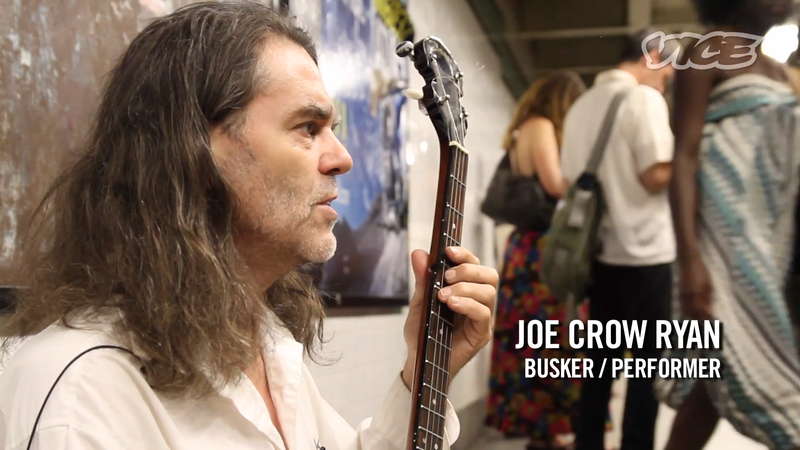 See the 18-minute film in its entirety below, check out his music here and give Joe some G train lovin next time you see him there.